CUBE FX is the most comprehensive instructional video available for learning how to perform amazing magical and mental effects with the most popular toy puzzle of all time. This 3 DVD set combines the learned experiences of both Karl Hein and John George who will clearly teach you their professional Rubik's Cube routines and give you dozens of ideas and effects to play with including: instant cube solves, matching your cube to a cube a spectator mixed, causing one thought of color to solve in the spectator's hands, blindfold solves, prediction effects and smartphone effects. DVD 2 - John George teaches his version of CUBE FX which regularly astonishes audiences. You will also learn an incredible close-up cube effect with a smartphone as well as be inspired by dozens of ideas and effects from two of magic's most innovative conjurors. "I've seen Karl's CUBE FX in action at the Magic Castle and it slayed the wild group of party folk. You will be wise to add this hip and playful feature to your repertoire." "Nothing to see here, move on people!" 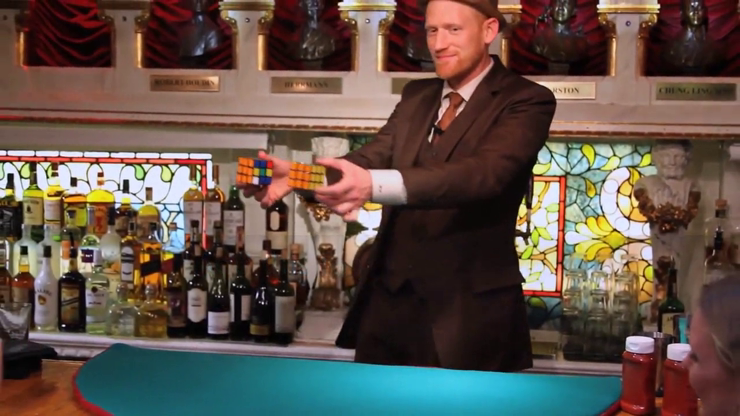 "As one of the more well known Rubik's Cube Magicians in the world.. I can honestly say that Karl has the HOLY GRAIL in cube magic." "Karl is one of my favorite magicians and this is one of my favorite effects in all of magic. I have never seen anything have more impact." "I've watched this routine bring the house down and to their feet. It's a wonderful act unto itself." "Karl's work with the Rubik's cube operates on so many levels, it proves Abraham Lincoln was wrong. Karl can fool all of the people all of the time." 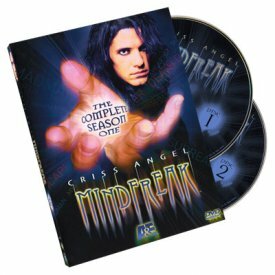 "If you either do magic with a Rubik's Cube or you plan to, you need to buy this DVD set. This is a unique mental magic routine that is visually stunning and devastatingly ingenious. It's filled with clever magic that works in the real world. It's Amazing!" "It's genius!!! It's going to f#@% you up!" "I have seen this routine elicit great reactions time after time. It's so good and so amazing that I wish I could teach it to (my psychic parrot) Luigi."